Antique clocks are my passion. 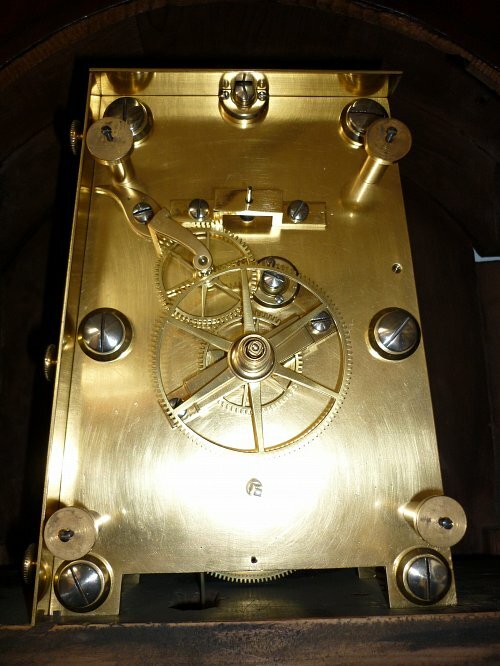 I have been a clockmaker for over 40 years having started an apprenticeship in 1977 and qualifying for Fellow of the British Horological Institute in 1988. I have a special interest & collection of Sussex Clocks & whilst I try to maintain my website there are always many other clocks in restoration which are not shown here. My practical skills and understanding of the elements of clock movement restoration ensure that my stock is high on originality. A thorough knowledge of horology helps me ensure sympathetic restoration of any clock that passes through my hands. My clocks are supplied with a one year warranty, free delivery and set up within a 100 mile radius. Shipping can also be arranged. I offer a full clock repair and restoration service ensuring clocks are restored to last a lifetime as they often end up many miles from a competent, sympathetic restorer. You will always be assured of a warm welcome and expert advice.